King Island Flights At Adrenaline Fit For A Champagne Taste! Jetting off to new destinations is always an adventure in the making. Reign supreme with the tourist dream of discovering all the natural delights of Tasmania’s King Island. The largest of three islands in the Bass Strait archipelago known as the New Year Group, this Tasmanian Island is a foodie and recreationist must–visit tourist spot. Let Adrenaline take you there with regular charter flights that offer the ultimate in luxurious style. Cheap King Island flights of the highest order are always assured online at Adrenaline – and you’ll be forever enriched by the experience. What is there to do on King Island? Once you arrive, you’ll soon keep pace with relaxed vibe. Sit back, relax and absorb the scenic surrounds, which features a coastal retreat that encompasses lush, rolling pastures, delectable gourmet fare and a tumultuous maritime history. Speaking of seafarers, maritime trails are high on the tourist agenda at King Island. Walking and hiking excursions, guided tours, beachside horse-riding activities and a range of health and wellbeing packages are other popular attractions. 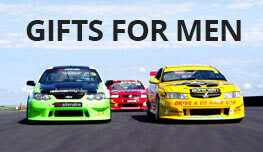 What is King Island famous for? King Island is internationally renowned for its local produce, especially its cheeses, cream, yoghurts, seafood, beef and bakery goods. It is also paradise for golfers and all nature-based sightseeing pleasures. Boutique accommodation abounds. Cosy bed and breakfasts are popular, farm stays suit couples or families who seek to enact the rural lifestyle and secluded coastal hideaways are also Kind Island drawcards for discerning clientele. Is it worth it to visit King Island? A trip to King Island is not only worthwhile for gourmet-loving sightseers, but also from a financial perspective. 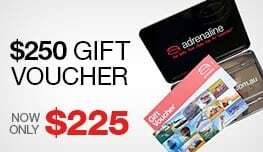 Find cheap deals online at Adrenaline and keep your romance blooming with a range of charter flights, departing weekly from Essendon Airport in Melbourne. The King Island Lunch DC3 Fly In for 2 – Melbourne Fly and Dine package is custom-designed for couples who expect the finest taste of life. This enticing deal is also offered for solo travel and includes a 10am Sunday arrival at the VIP Clipper Lounge for refreshments and Champagne before boarding your 10:30am flight. 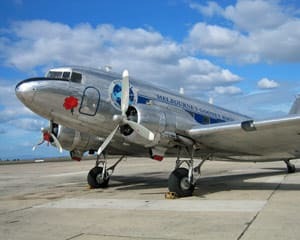 Your luxurious DC3 flight time is one hour and 10 minutes and this usually involves low altitudes for you and your beloved to absorb the Melbourne skyline, Port Phillip Bay scenery through the Heads to Kind Island. Upon arrival, travellers are met by coach and transferred to Boomerang By The Sea in Currie. Curry, incidentally, may or may not be on the lunchtime menu. The tempting buffet selection features the cream of King Island’s gourmet fare, which you can savour while soaking up the breathtaking vista of this Western Coast foodie destination. Save room for another delicious treat in store when the coach transfers you to the King Island Cheese Factory to sample the finest dairy produce for which King Island is world-renowned. You’ll be sated in every way as you make your way to your aircraft for your 4pm return flight to Essendon Airport.